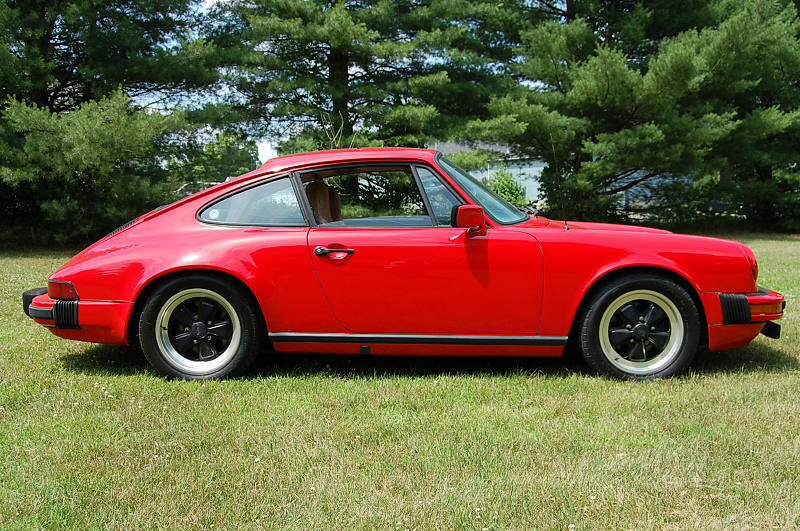 1983 Porsche 911 SC Sunroof Coupe Red with brown seats and light colored carpets, 114,000 miles. This car came to me from an owner who said it had a broken head stud. You wouldn’t know that from driving it, the car drives very nicely and feels wonderful on the road. One of the nicest shifting SC transmissions I have ever driven. The car has various cosmetic flaws: warped dash, some rust, seat seams splitting, but in-spite of those things, the car presents itself very nicely. It is clean and it runs well. Car fax is clean. Car comes with owners manual pouch with manuals, it also has the tool kit and the jack is also there. The key card is with the car too. With a bit of work this would a great car for someone or just drive it as it is and really enjoy it.